Years ago when I was an active backwoods hiker and backpacker, I would spend hours coating my hiking boots with a gooey substance that would make the boots waterproof. I didn't care that the solution left the boots looking blotchy and discolored. 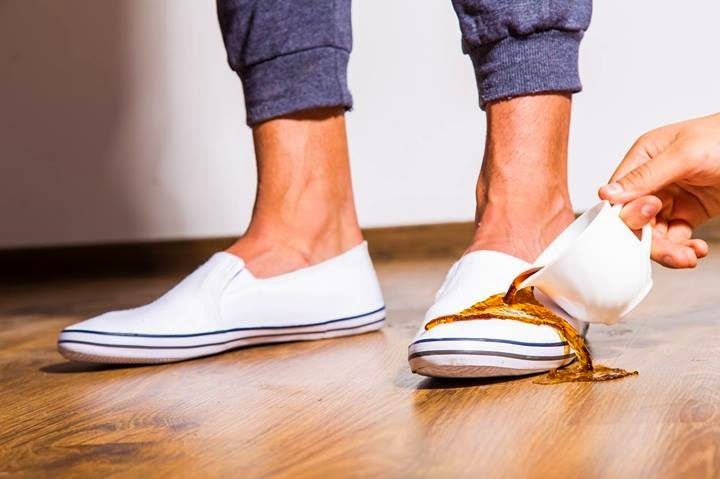 Today, thanks to nano technology, we have the option of coating footwear with an invisible spray that makes shoes or boots waterproof without ruining their looks. One of the leading nano coatings is called Aquashield. It's made by Nanex, a Belgian company that is among the first to develop nano-tech products for commercial use. Nano-coatings create a super hydrophobic surface that repels water by causing any water-based liquid to turn into tiny balls that roll away like quicksilver. You can see how it works in the video below, And, unlike some other nano-coatings, Aquashield doesn't leave behind a white milky-looking film. To get more details, visit the Nanex Aquashield website where you can order a 500ml bottle of Aquashield for $40. That's enough of the stuff to last you for about two years. You can also follow Aquashield on Twitter.